58 reactors at costs estimated between €60 and €100 billion up to 2030.
reactors in France while financing two new ones in the UK, it would be declared bankrupt. should provide 50 per cent of the nation’s electricity in 2025, down from 75 per cent now. Whatever scenario is retained, an adjustment of the nuclear provisions . . . would lead to the bankruptcy of EDF from an accountancy point of view,” he added. The report said that EDF would need to find a further €165 billion during the next decade to finance projects such as Hinkley Point and the renovation of reactors in France. EDF says it will spend €51 billion renovating its reactors and £12billion on Hinkley Point. A spokesman for EDF accused AlphaValue of making erroneous calculations that failed to take account of long – term electricity price movements and differences between France and other European markets. are being misled by EDF and its CEO”. The discovery of widespread carbon segregation problems in critical nuclear plant components has crippled the French power industry—20 of the country’s 58 reactors are currently offline and under heavy scrutiny. France’s nuclear safety chairman said more anomalies “will likely be found,” as the extent of the contagion is still being uncovered. With over half of France’s 58 reactors possibly affected by “carbon segregation,” the nation’s nuclear watchdog, the Autorité de Sûreté Nucléaire (ASN) has ordered that preventative measures be taken immediately to ensure public safety. As this story goes into production in late October, ASN has confirmed that 20 reactors are currently offline and potentially more will shut down in coming weeks. The massive outages are draining power from all over Europe. Worse, new questions continue to swirl about both the safety and integrity of Électricité de France SA’s (EDF’s) nuclear fleet, as well as the quality of some French- and Japanese-made components that EDF is using in various high-profile nuclear projects around the world. EDF’s nuclear power plants (NPPs) provide up to 75% of France’s power needs. Its NPPs are spread out over 19 sites and include 34 900-MW units, 20 1,300-MW units, and four 1,450-MW units. As the fleet suffered through shutdowns, inspections, and reviews, production fell in September to its lowest level since 1998—just 26.6 TWh, according to French grid operator Reseau de transport d’electricite. With more NPPs scheduled to go offline, that figure may continue falling. Earlier in October, EDF reduced its 2016 generation targets from 395–400 TWh to 380–390 TWh, while estimates for nuclear output in 2017 have also been lowered to between 390 TWh and 400 TWh. For perspective, annual nuclear production averaged 417 TWh in the period 2005–2015. Although in 2009 output fell to 390 TWh, for the last decade production has consistently been above 400 TWh and exceeded the target range of 410–415 TWh in both 2014 and 2015. Following EDF’s reduced nuclear generation forecast, wholesale power prices immediately began jumping with Q4 2016, Q1 2017, and calendar 2017 baseload contracts trading up by €1.70/MWh, €1.65/MWh, and €1.20/MWh, respectively. To address the energy shortfall, France is turning to coal and other fossil fuels, as well as imported power. Despite the COP21 carbon emissions agreement, which recently went into force, France is now burning coal at its highest levels in 32 years. With so many plants now offline, Reuters reported that French wholesale 2017 power prices hit a contract high of €45.60/MWh on October 27, with more gains possible in the coming weeks and months. Additionally, prices in Germany, Europe’s largest power supplier, are also rising. As that nation diversified its power sources and bulked up its renewable capacity, much of its conventional fleet has become underutilized or marginalized. Many of those German plants are now revving up as they send power into France, thanks to a high level of interconnectivity. Not coincidentally, Reuters reported that German year-ahead power prices hit a two-year high of €33.65/MWh in late October as well. At the heart of France’s nuclear crisis are two problems. One concerns the carbon content of critical steel parts, steam heat exchangers, and other components manufactured or supplied by AREVA SA, the French state-owned nuclear engineering firm and global producer of nuclear reactors. The second problem concerns forged, falsified, or incomplete quality control reports about the critical components themselves. Excessive levels of carbon in the steel parts could make them more brittle and subject to sudden fracture or tearing under sustained high pressure, which is obviously unacceptable. 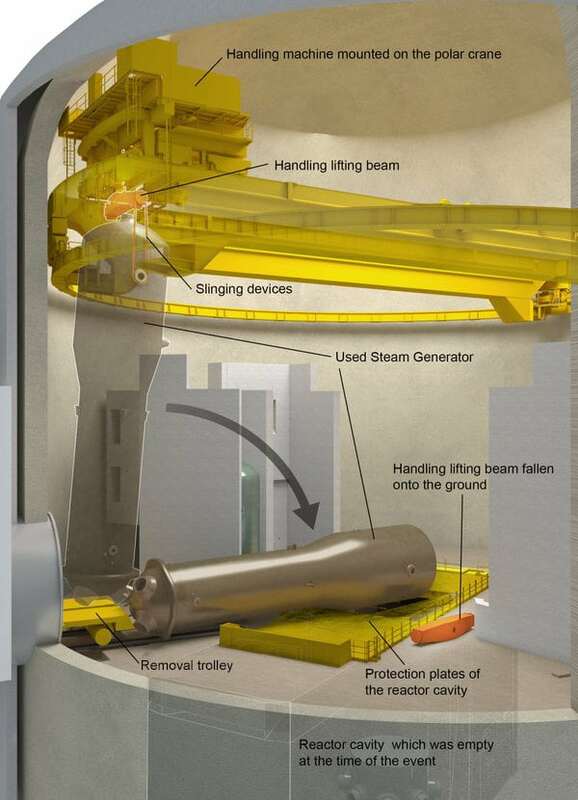 Initially discovered at the troubled 1.65-GW Flamanville 3 project (Figure 1) in 2014—one of the first in the vaunted European Pressurized Reactor (EPR) nuclear plant series that EDF also plans to use at the newly approved Hinkley Point C plant in England—more flaws have since been discovered throughout the existing nuclear fleet. An internal probe of the forge at Le Creusot (Figure 2), where many of the components in question were created, has uncovered new anomalies. According to an October Bloomberg report, AREVA is now reviewing all 9,000 manufacturing records at the forge dating back as far as 1943, including files from more than 6,000 nuclear components. Though there have been questions raised since anomalies were discovered at Flamanville in 2014, during the past six months—and accelerating this fall—almost weekly revelations have resulted in plant shutdowns, extended outages, reduced generation, and lots of questions. Following parliamentary hearings on October 25, resulting in a wider probe and likely more plant shutdowns, on October 27, ASN confirmed with POWER that the scope of the problem appears to be expanding. According to an ASN press relations officer, who requested anonymity in line with ASN rules, there are now a significant number of reactors offline, with more to be inspected in the next few weeks. “We are now finding carbon segregation problems from components coming from both Le Creusot and [the Kitakyushu-based Japan Casting & Forging Corp.] JCFC plant. As for now, there [are] 20 EDF reactors offline,” the official said, noting that the number will fluctuate as inspections take place. Some examinations were scheduled during refueling outages and normal periodical reviews. Among affected NPPs, “ASN is performing inspections on seven reactors equipped with steam generator channel heads manufactured by JCFC that are liable to contain a particularly high carbon concentration,” explained the ASN press relations officer. The seven plants are: Bugey 4, Civaux 2, Dampierre 3, Gravelines 2, Saint-Laurent-des-Eaux B1, and Tricastin 1 and 3. In early October, ASN weighed in on the deteriorating situation and ordered EDF to cease generation from five other units. It wants safety tests conducted on all of those nuclear reactors and steam generators because of the additional carbon anomalies discovered. The tests, which will take place between November and January, will require the shutdown of the following units: Civaux 1, Fessenheim 1, Gravelines 4, and Tricastin 2 and 4. “All together, there will be a total of 12 reactors inspected for the carbon segregation issue. This examination will take several weeks or possibly longer. There is carbon segregation and some other metal elements are being checked in every nuclear plant,” the ASN representative continued in an exclusive interview with POWER. On October 25, Reuters reported that EDF and ASN had delayed the restart of Civaux 2, Dampiere 3, and Gravelines 2 NPPs. In addition, it said there had been more irregularities detected at Gravelines 5. 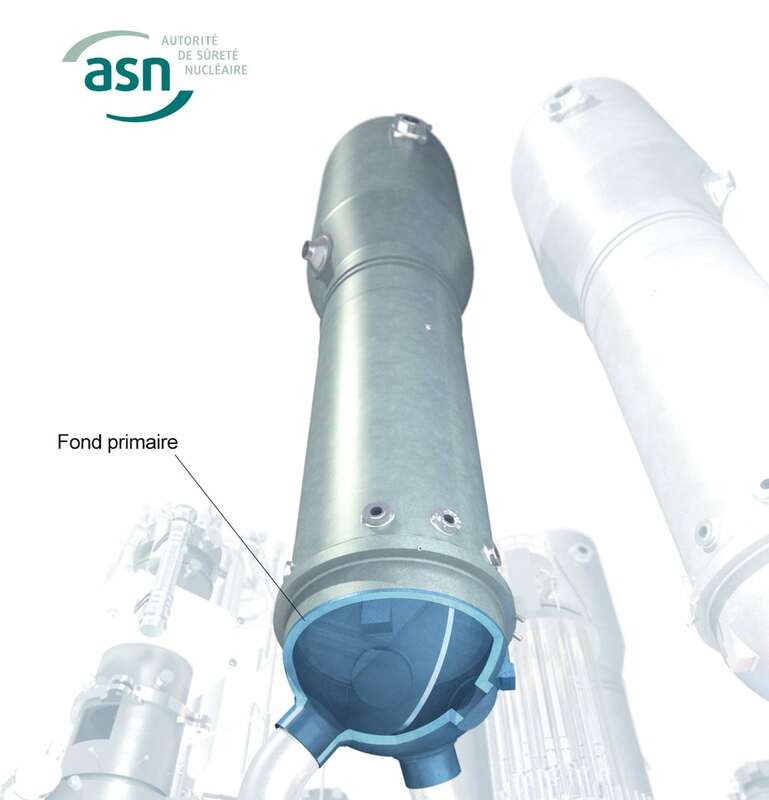 The analyses performed by EDF thus far have found that since 2015 certain channel heads of the steam generators manufactured by Le Creusot and JCFC “contain a significant carbon concentration zone which could lead to lower than expected mechanical properties,” according to an ASN report. These steam generators equip 18 reactors in the 900-MW and 1,450-MW plant designs. Of these reactors, 12 are equipped with high-carbon channel heads. According to The Japan Times, the JCFC is now also under scrutiny by Japan’s Nuclear Regulation Authority as each of the JCFC supplied plants have become part of the probe and may eventually prove to be the most affected. Energy traders and analysts now warn that the French market needs to prepare for longer maintenance periods in coming years given the age of the nuclear fleet and the continuing design flaw revelations. With the average French reactor now more than 30 years old, equipment will need to be replaced more frequently, and increasingly stringent safety requirements will mean that components could be delayed, especially as ASN imposes additional checks. The safety inspections and other reviews “will lead in particular to extensions of certain planned outages,” EDF said in a press release. The safety inspections and other reviews “will lead in particular to extensions of certain planned outages,” EDF said in a press release. However, even before this current situation, France, like neighboring Germany, had begun to question the safety and future of nuclear energy post-Fukushima. Since that 2011 event, several left-leaning governments have proposed reducing reliance on nuclear power to 50% over the coming decades. But many conservatives see nuclear energy both as core to the nation’s environmental policies and to its economic output, because France is a leader in the nuclear field. Indeed, state-owned EDF has built and maintained reactors throughout the world. Today, it is involved in major projects in China, Finland, Belgium, and the UK. Though no evidence has yet surfaced publicly, it’s not illogical to think that because the common sources of these components, and thus the common sources for their problems—Le Creusot and JCFC—have supplied or are supplying parts to facilities worldwide, the carbon segregation problems could well spread beyond France. 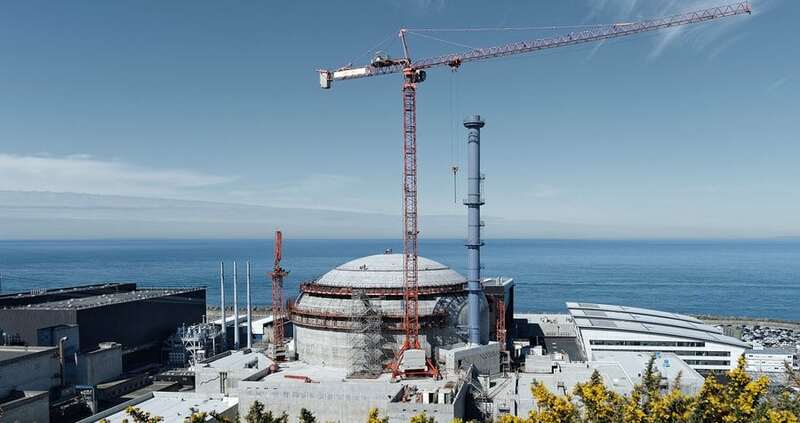 For NPPs now under construction by EDF, either Le Creusot or JCFC forged some of the casings almost a decade ago; it would be very costly and time-consuming to replace them. 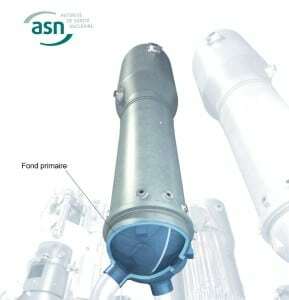 Pierre-Franck Chevet (Figure 3), head of the ASN, said that a similar AREVA forging technique had been used for five other EPRs planned or being built. Two of these are in Taishan, China, and two are set for Hinkley Point C. Components have also been manufactured for one planned EPR at Calvert Cliffs, Maryland. Going further, ASN has also indicated that in the nuclear components supply chain, three examples of Counterfeit, Fraudulent and Substandard Items (CFSIs) surfaced in 2015. No word yet if more CFSIs have been found since, or who was responsible. But with inspectors now fanning out across the French nuclear fleet, it’s likely that there will be more revelations to come. Erring on the Side of Safety? Despite the outages and findings from the carbon quality investigations, EDF continues to downplay the risk. “The safety margins are very large and the carbon content does not undermine integrity or security, even in the case of an accident,” an EDF spokesperson told Le Monde newspaper. But questions about quality control practices at Le Creusot, which is at the heart of this problem, continue to grow. Indeed, the greater the scrutiny, the more problems are being discovered. The number of components affected by irregularities and already installed in operating NPPs increased from 33 known issues in April to 83 by the end of September. Startlingly, irregularities affecting just the Flamanville EPR project increased from two to 20 during the period. While EDF and AREVA are dealing with costly damage control, ASN and other agencies are assuming their watchdog positions. Indeed, the ASN representative said, “We take no risks. That is the rule. If we don’t know the dangers of the carbon segregation, then we must take the reactors offline until we know what the situation is and [can confirm that] it’s not dangerous. “There are questions about document files—and now from tests—where we have noticed that there is potentially more segregation. So taking the reactors offline is a precaution. We have to have assurances that this is not a safety matter, that is why so many reactors are now offline,” said the ASN insider. The steam generators in question are heat exchangers between the water circulating in the reactor’s primary coolant circuit—at a temperature of about 350C and a pressure of 155 bar—and the water in the secondary circuit that supplies steam to the turbines. Their domed lower head (Figure 4) is part of the primary circuit and, therefore, has an important safety role in ensuring cooling water is always available to the reactor. There are three steam generators in the 900-MW pressurized water reactor plants, like Fessenheim 2 and Bugey 4, while the larger reactor designs feature four. 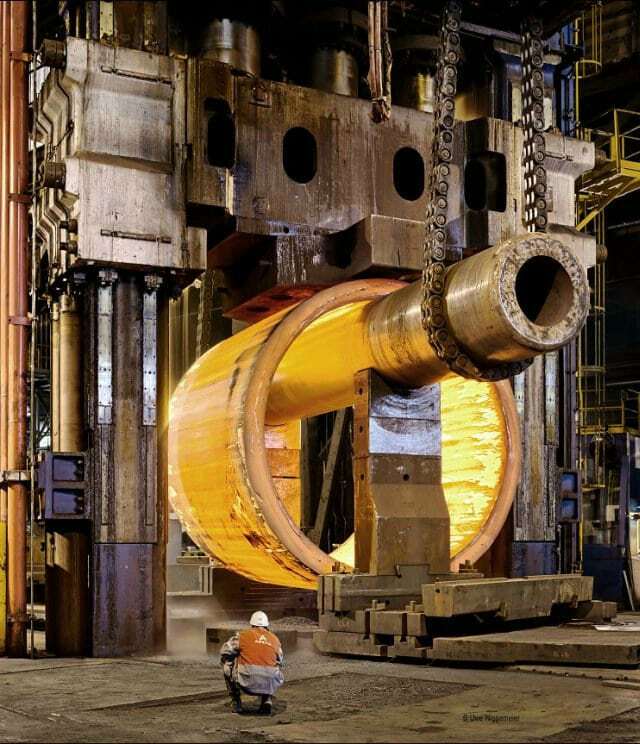 In July, ASN suspended the serviceability certificate for one of three steam generators at Fessenheim 2, due to anomalies in the steel of its lower shell. AREVA said the internal production record for the part revealed a “divergence from the nuclear pressure equipment manufacturing standards.” ASN also warned in June that certain steam generator channel heads at the reactors could contain a zone comprising a high carbon concentration, which could weaken the mechanical resilience of the steel and its ability to resist the spreading of cracks. 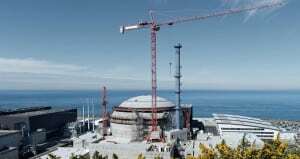 As previously noted, the current crisis roiling France’s reactor fleet has its origins in 2014 with the discovery at the under-construction Flamanville 3 plant of several anomalies in the composition of steel in certain zones of the vessel closure head and the vessel bottom head of the EPR reactor. This led to an internal audit, released in April 2015, suggesting the existence of many more anomalies. Though these anomalies were initially downplayed by ASN and AREVA, critics continued to push for a more stringent investigation. In September 2015, the release of an independent evaluation conducted by Large and Associates—a UK-based engineering firm—at the request of Greenpeace France really blew the doors open. “The nature of the flaw in the steel, an excess of carbon, reduces steel toughness and renders the components vulnerable to fast fracture,” said the report’s author, John Large. The Greenpeace report, “Amplified the questions ASN already had,” said the ASN representative who spoke with POWER. Of the 12 NPPs identified by ASN to have carbon problems, each had their replacement steam generators forged by JCFC. According to technical reports, their components—including the bottom channel heads, certain tube-sheets, and some top elliptical domes—were believed to contain zones of macrosegregation, possibly with enhanced carbon content. Initial EDF analysis found a maximum excess carbon content of 0.3%—about 50% more than the design specification of 0.22%. “On this basis, independent adviser, Institut de Radioprotection et de Süreté [Nucléaire] (IRSN) reckoned that the risk of catastrophic failure and fuel melt could be mitigated if certain further additional conditions and ‘compensatory’ measures were implemented until a scheduled outage would enable further examination of the JCFC components,” wrote Large in the Greenpeace report. But initial surface tests were followed by more invasive studies. The first NPPs to enter scheduled refueling outages for a more thorough examination were Tricastin 1 and 3. The early nondestructive inspection results for the JCFC bottom channel heads at these NPPs revealed an alarming 0.39% level of carbon present, almost 100% greater than the maximum permissible level. That finding, with its associated reduction in material toughness, rendered the component vulnerable to fast fracture, reported Greenpeace in a late October update. IRSN revised its analysis on October 18 and advised ASN to order the shutdown of all but one of the NPPs with JCFC steam generator components installed. These shutdowns are to remain in force until EDF can demonstrate that the individual NPPs are once again deemed safe to reenter service. ASN’s earlier concerns were backed up by IRSN. It likewise rejected assurances given by both EDF and AREVA that there was no safety risk from any steam generators containing the excess carbon flaw. As far back as August, IRSN warned ASN that EDF’s submission was incomplete; there was a risk of abrupt rupture, which could lead to a reactor core fuel melt; and immediate compensatory measures were needed to safeguard the operational NPPs involved. 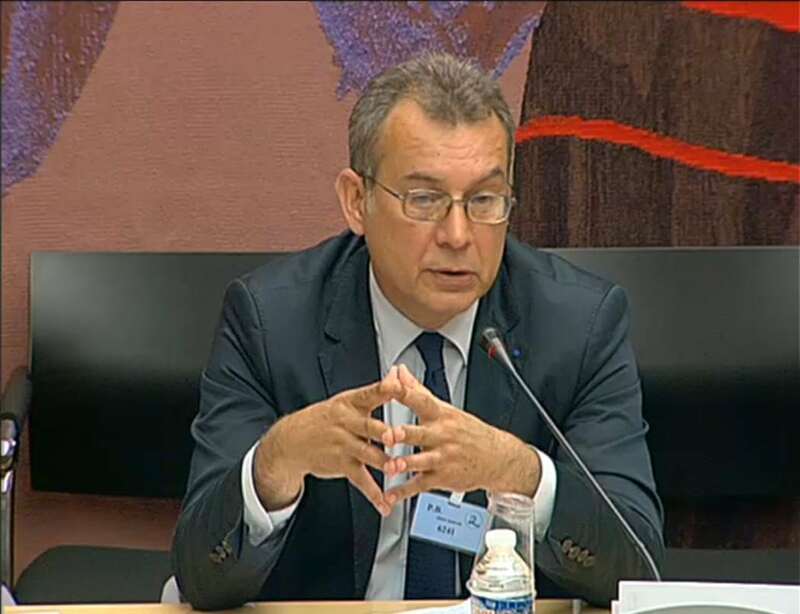 At a French parliamentary hearing into the situation on October 25, Chevet said that his agency would need another year or two to examine thousands of more pages in its investigation of reporting irregularities at AREVA’s Le Creusot foundry. “We will likely find more anomalies and irregularities,” said Chevet. Six affected NPPs have been granted approval to restart and are operating normally. They are: Blayais 1, Chinon 1 and 2, Dampierre 2 and 4, and Saint-Laurent-des-Eaux B2. Seven NPPs are in planned outages and have been, or are being, inspected. They are: Bugey 4, Civaux 2, Dampierre 3, Gravelines 2, Saint-Laurent-des-Eaux B1, and Tricastin 1 and 3. Five NPPs have been ordered by ASN to be taken offline to conduct checks before January 18, 2017. They are: Civaux 1, Fessenheim 1, Gravelines 4, and Tricastin 2 and 4. Three NPPs are currently scheduled to remain unavailable throughout the winter months. They are: Bugey 5, Gravelines 5, and Paluel 2. One NPP has been ordered by ASN to shut down following the detection of an irregularity in the lower shell of the steam generator. That unit is Fessenheim 2. Incidentally, Paluel 2 has been offline since May 2015. Its maintenance period is continuing, following an incident on March 31, 2016, in which a 465-ton steam generator tipped over during removal (Figure 5). —Lee Buchsbaum (www.lmbphotography.com), a former editor and contributor to Coal Age, Mining, and EnergyBiz, has covered coal and other industrial subjects for nearly 20 years and is a seasoned industrial photographer.